1885. Anne Stanbury. Committed to a lunatic asylum, having been deemed insane and therefore unfit to stand trial for the crime of which she is indicted. But is all as it seems? Edgar Stanbury. The grieving husband and father who is torn between helping his confined wife recover her sanity and seeking revenge on the woman who ruined his life. Dr George Savage. The well-respected psychiatrist and chief medical officer of Bethlem Royal Hospital. Ultimately, he holds Anne’s future wholly in his hands. A deep and riveting psychological thriller set within an historical context, packed full of twists and turns, The Medea Complex explores the nature of the human psyche: what possesses us, drives us, and how love, passion, and hope for the future can drive us to insanity. Psychological thrillers play with the reader’s minds – and I like that. Rachel Florence Roberts is a 29 year old nurse, author, and mother of one. 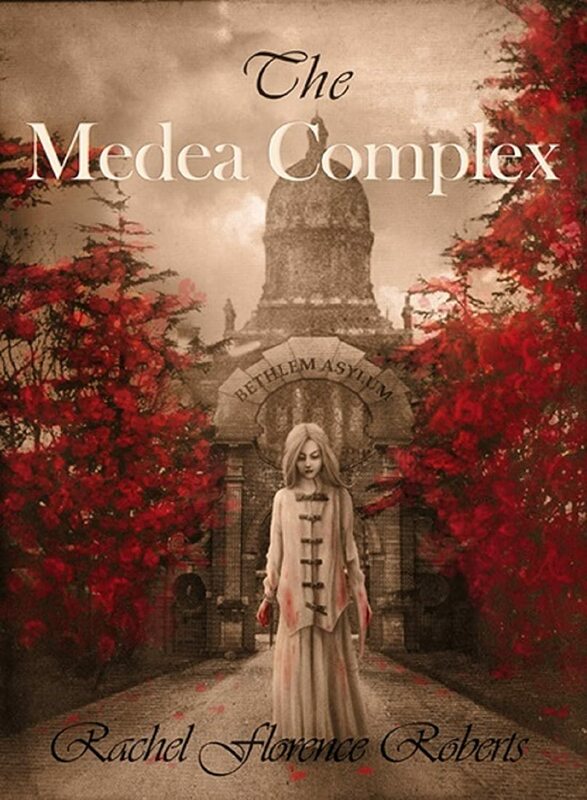 The Medea Complex is her debut novel. After the birth of my (now two year old) son, I suffered with postnatal depression. It was my research into the historical context of the subject that inspired The Medea Complex.